God's idea of perfection is love! GOD'S idea of perfection is often quite different from OUR idea of perfection! God took a man who was a murderer and made him the Apostle Paul! 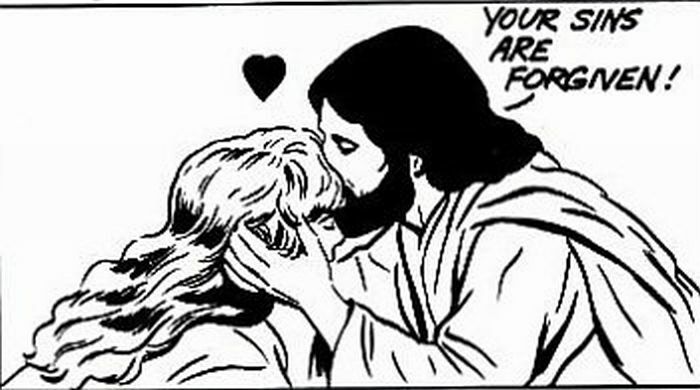 Jesus took a woman who was one of the biggest harlots in town and made her one of His favourite disciples! King David was one of the worst sinners that the World has known, but he was also one of the greatest saints, because he knew he was totally dependent on the Love and the mercy of God for forgiveness! God's idea of saintliness is not sinless perfection, it's a sinner who has NO perfection, NO righteousness of his OWN at all, but is totally dependent on the LOVE and the MERCY of GOD! These are the only saints there are--there are no others! When we feel so righteous and good, it's really because we are SELF-righteous, and not closer to God but closer to ourselves! So let's forget about trying to be perfect!--Because we never will be! Let's just follow the Lord and do the best we can for Jesus and others! The only standard of righteousness or perfection is: Do you depend on the LORD totally, trust Him and His Love and His mercy? True righteousness is being full of the LORD and HIS LOVE, for only HE is ALL right!